eSail has been developed by a small team with experience in e-learning, sport and software development. Our goal is to provide high quality simulation based learning and entertainment. Eventually this will lead right through to advanced levels of training, but we have started by trying to get the basics in place first. To bring eSail to market has been a massive project. As well as the technical challenges of simulating a detailed environment and complex physical forces we have also tried to make eSail work on a wide range of equipment – not everyone has the latest multi-cored processor and powerful graphics card! So there is still a lot of work to do – and we look forward to adding more features throughout 2019 and beyond. We hope that users enjoy eSail and don’t lose sight of the ultimate goal – getting out on the water! 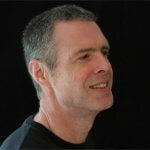 Chris has a background in elearning and over 20 years of software development and marketing experience in the UK and US. Chris started the health & safety elearning and risk management company Cardinus and sold it to THB Group in 2007. Cardinus provides e-learning used by thousands of organisations across the globe to reduce accidents and injury, increase employee productivity and comply with legislation. Chris began sailing around 2010, taking family sailing holidays each year in Greece and Turkey. When he found that he was forgetting so much in between charters he looked around at sailing simulators to refresh his knowledge, but was dissapointed that those available focussed entirely on racing, and didn’t really help with real life skills. So after a short break when he wrote two musicals – Spring is Forever (dealing with the early days of the ‘Arab Spring’) and Green Lady (a musical for schools which highlights issues of bullying and tolerance) – Chris returned to his roots and began coding. Three years later eSail was launched on Steam. Jon started dinghy sailing in Plymouth and Falmouth Harbours at school, then cruising and racing in the Solent at college. 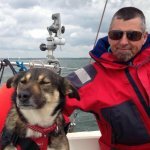 For for several years Jon worked in cancer research then ran a unit studying stroke and brain injuries, and began sailing with the Ocean Youth Trust. At this time he was also instructing cruising and racing and delivering Halberg Rassey, Nijad, and Sweden yachts from Sweden and qualified as Yachtmaster Ocean. He later started a successful project management and tuition business primarily with Northshore Yachtyards and qualified as a Yachtmaster instructor. Jon is currently involved in providing sailing tuition and supporting the Ocean Youth Trust.